This machine brings the fun of snowboarding to the great indoors! 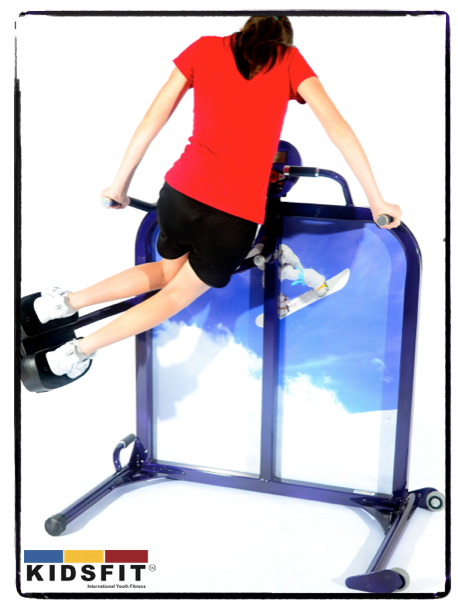 With lateral movements and swivel snowboard foot base, children can enjoy an intense cardio workout and not even know they are exercising. This unique movement exercises the triceps, deltoids, trapezius, external obliques and the entire range of central core muscles including the transversus abdominis, back and pelvis while providing a complete cardiovascular and/or fat burning workout. Resistance is created by the users body weight.